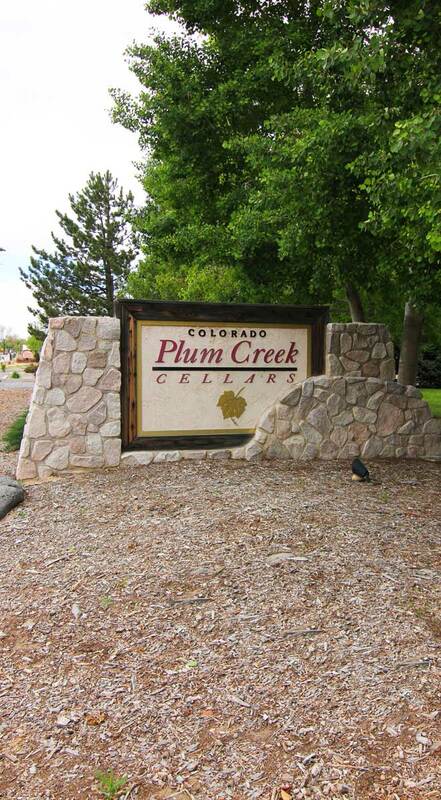 Plum Creek Cellars owns or directly controls the production of grapes from 75 acres of vineyards in Colorado. Owners Doug and Sue Phillips began growing grapes in 1980 and continue to be dedicated to their mission of making Colorado-grown wines of excellent quality. The spacious tasting room is beautifully decorated with a redwood tasting bar, a dramatic sandstone fireplace, hand-woven rugs and fine art. Grounds to the tasting room are beautifully landscaped with waves of lavender, evergreens, aspen and roses, as well as a 7 1/2 foot tall metal sculpture of a rooster made out of rusted farm tools keeping guard. Wine List: Grand Mesa Merlot, Cabernet Franc, Merlot, Cabernet Sauvignon, Syrah, Sauvignon Blanc, Chardonnay, Palisade Rose Palisade Red, Riesling, Sangiovese, Riesling Special Reserve, Somerset Harvest dessert wine. Hours: 9:30 am to 6 pm daily April through October and 10 am to 5 pm daily November through March. The winery is closed on Thanksgiving, Christmas and New Year’s Day. Tours of the winery facility are available, but reservations are required for large groups.